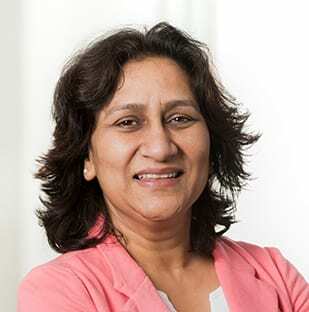 As Chief Human Resources Officer, Madhu Sreekumar leads the global human resources team, aligning HR and TechnoServe’s strategy, and providing HR support at all levels of the organization. Prior to joining TechnoServe in 2017, Madhu worked in the private, public, and nonprofit sectors in India and the US. In India she worked for a large global insurance company and was head of a business unit responsible for its profit and loss. For the last 10 years, Madhu has been leading the Human Resources teams in several nonprofits. Most recently, she served as the Head of Human Resources & Administration at Counterpart International, and prior to that at the International Republican Institute. Madhu holds an MBA from Podar Institute in India, a master’s degree in Organizational Development from George Mason University, and dual Global and Senior Professional Certifications in Human Resources from HRCI and SHRM. She is a Certified Professional Coach and a Certified Energy Leadership Index Master Practitioner. Madhu lives in the DC metro area with her husband and two sons.